Bla08 is providing you with download packages and has mod permission, as my internet is really slow. Please appreciate his work and all the time he puts in it. Stuff in the file section is updated and better optimized. More Stuff and uploads will follow. Something went purple? Install the according smim part afterwards. Download everything and put it into 1 big data file. skyrim\data\ and overwrite. 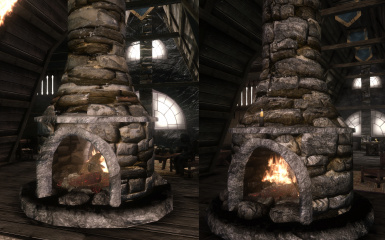 4K Parallax Textures for Skyrim + Meshes to activate the parallax effect. Smim, if you don't have it, some stuff might not get its texture correctly. much updates to upload 1gb twice week with a slow internet connection. 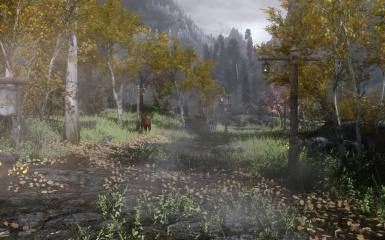 ENB: You need to have set FixParallaxBugs=true in enblocal.ini. Should be compatible with Realistic Water two and it's wet rocks. 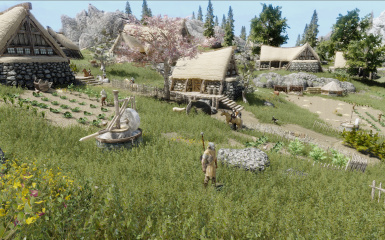 Mods that use the same meshes. A lot of times I got ELFX meshes integrated, but if you miss something just install the according ELFX Part afterwards. Josh Ezzel, who allowed me to create 4k Textures out of his photographs. And to VoltarDaedra, who changed a few thousand entries in the meshes for us, which took endless hours. Appreciate his work.